Make Your Mark is a new campaign developed by the Education Liaison and Outreach team at Middlesex University. The campaign is for 11-16 year olds and draws on a genuine interest in how young people develop their transitional and life skills and how we, as higher education practitioners, can best support them towards successful outcomes. Relationship Manager (Schools and Outreach) Elita Eliades-Ahmed explains more. Eleven may seem like a very young age to be thinking about careers, but before they know it young people are being asked to make important life choices, such as which GCSEs they will study to lay the foundations for a life of work. 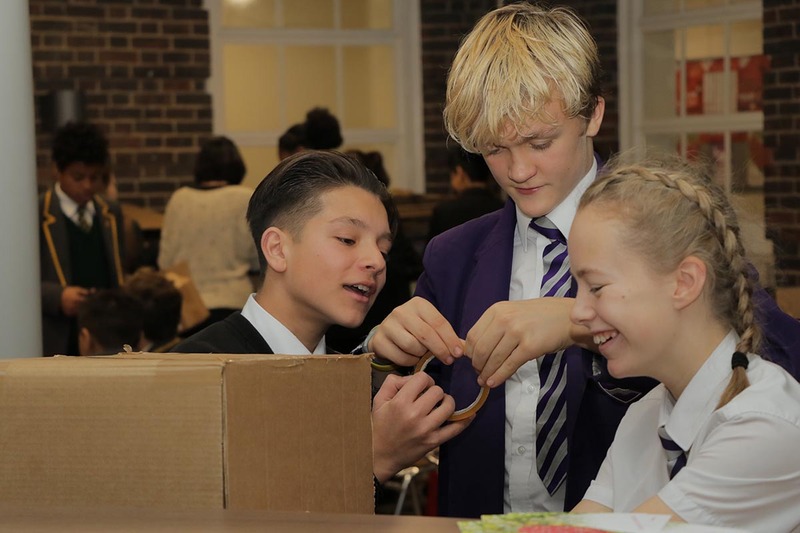 Students from local schools taking part in Middlesex University’s Junior Entrepreneur of the Year competition, held as part of Global Entrepreneurship Week 2016. Research shows that a large number of students have already made their decisions about higher education by Year 11 and yet schools and colleges tell us that there is a real lack of accessible skills and careers information for school pupils between the ages of 11 and 16. Students in Year 12 often find themselves bombarded with ‘too much, too late’. By this stage in their student journey they are likely to be overwhelmed by the volume and breadth of information that is out there. Furthermore, this means that by the time students get the information they need about career paths, university life, and the skills they will need for their future careers and the different routes available into higher education, they may well be right in the middle of studying for their GCSEs. This information and advice gap is reinforced by a recent Ofsted report which warns that the current careers education system could harm the UK’s future economic prosperity. Through the business connections we have at Middlesex, we know that the world of work is more competitive than ever before. In the future, more jobs will require higher qualifications, and we know there are skills gaps now – particularly in London – that need to be filled. 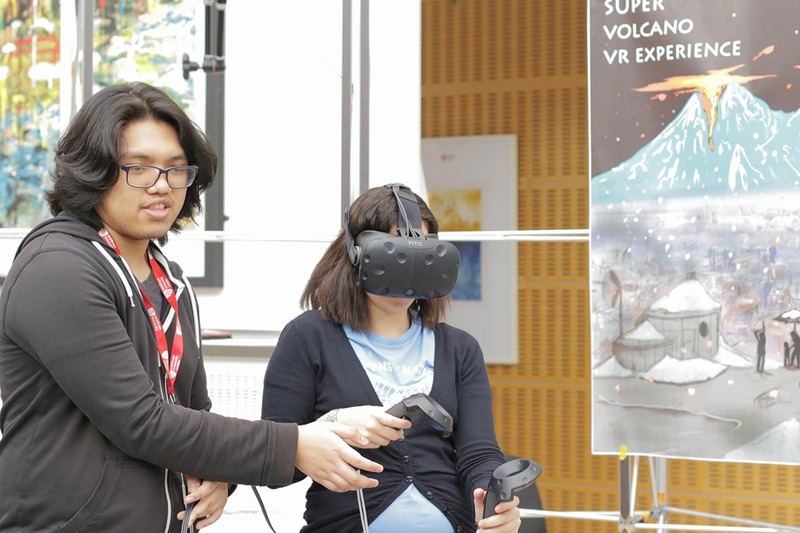 Our Make Your Mark campaign was developed to inspire children from a younger age to make sure they know what they need to do to tap into the 41,000 new jobs that are predicted to be created in London every year, many of which will require a degree. Education is also one of the answers to increasing social mobility, with universities such as ours at the frontline of raising aspirations and improving attainment among London’s young people. As a leading widening participation university, we think it is even more important to start the conversation about higher education with students from more disadvantaged backgrounds as early as possible. Leaving it until Year 12 may leave many young people with a mountain too big to climb. A school pupil tries out virtual reality at our 2016 Big Draw event. Make Your Mark is not just about sharing information about university life and career pathways. It sets out other routes into higher education – such as apprenticeships – and gives valuable insight to help students take steps towards getting a degree or other qualifications. The campaign website is highly interactive, with features, blogs, listicles, quizzes, tips and lots of insight into what university life and study is all about. Other topics include exam preparation, understanding different learning styles, how to complete personal statements and UCAS forms, and all important budgeting. We are working on new content for the Make Your Mark platform all the time, and a range of fun and engaging events are planned over the next few months both on and off campus. At 11 years old there are so many unknowns. University may not be for everyone, GCSE choices may be regretted later on and apprenticeship may seem like a more appealing route for some. What is known is that getting a degree will become more important, and young people need to be made aware of this. They also need to know there is more than one pathway into higher education and we hope Make Your Mark will help them to understand how to access these routes. To keep up to date with Make Your Mark developments visit Instagram and Facebook.